Shawn Garland is passionate about his job. He takes the time to do it right. He is the only one I use. Many people feel the same way. So If you want it done right, ask for Shawn. We are fortunate to have a great team and great customers to service! i had a leak under my sink and i thought it was from my dish washer. He came out and couldn't find anything leaking. He did tighten things up though and one of the things he tightened I believe was the culprit for the leak. He also went around and inspected all my plumbing and made recommendations. I felt the cost was worth it for the knowledge and piece of mind of finding the leak. Just wondering why you gave a great review but left a score of 6/10. Just curious if we could have done something more? they do not honour their warranty. i have a crack in my countertop and they refuse to replace it. The owner will not even come out and look at it! p.s. i thought this product was not supposed to crack? interesting that he puts the blame on a 60 year old woman supposedly standing on my countertop. do not do business with this outfit. They certainly do not believe in making it right. As well he keeps saying he would send someone out to repair it when they charge for this and the first time it they came out it looked the same! BadBad Bad company. UPDATE: Well they finally came back a second time to try and fix it again. (not numerous times like they wanted you to believe) At least it is not as noticeable anymore but It is still there. It was only after they offered to come back at no charge that I called them. One should not have to pay for something they are responsible for. Thank you for your review Mrs. Hearn. As you are well aware our factory trained technicians have been out to your home more than once to review your concern (at no cost to you). You are also well aware that it was assessed that the crack you speak of was created by an outside force such as someone standing/walking on your counter. The material does not crack on its own. As such our industry leading warranty does not cover damage caused in this fashion. I am sorry you fail to understand this. As previously offered, please let us know when we can return to your home to attempt another repair as you were not satisfied with the initial repair. Ms. Hearn, I am sorry that you feel you are being blamed, simply not the case. As for the material not being breakable, I am not sure where you got that idea. We do not advertise or promote the material being indestructible. It just so happens that it is the most durable stone product on the market. Like most things though it can be damaged under the right circumstances. Lastly, your reference to charging you for the service call is inaccurate. We would gladly come out to your home free of charge to provide the service. Again, let us know if you would like to take advantage of that. last october 2014 i hired Skywest to fix the damage caused by a water leak. It is now May 2015 and it still isnt finished. He doesn't return emails or phone calls. I would never recommend his company for a renovation! I love this guy. He is honest and local. I will only use him and no one else. He actually fixed my stove as well. Sent the part away to get it repaired and did not charge me for it as I wasn't working at the time. because of his kindness i will always recommend him to anyone. He is a very smart guy! 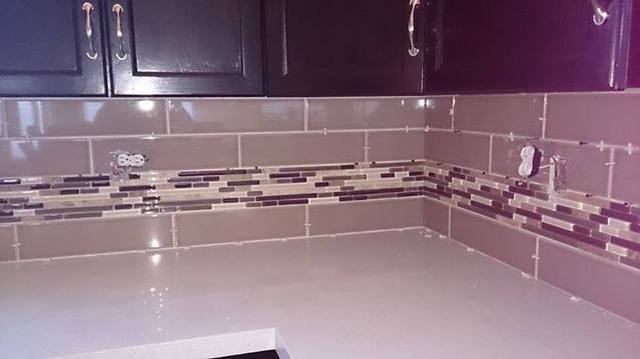 "i got my counter top installed in 2013. I wrote an earlier review on it and took a picture as well. In August of last year, I noticed a crack coming from a joint. It is about 4 inches long. I contacted the Calgary store and the customer service rep (Tammy) could not even be bothered to come and look at it. Rather she stated that I must have stood on the counter and caused it. I am 59 years old. I sure as heck am not going to be standing on my counter top! She took the word of her installer over me. Since I got nowhere from her, I contacted head office. They are just as bad as the Calgary office. They want to stand by their service rep(Tammy) instead of honoring the so-called "lifetime warranty" So It is not really a "lifetime warranty". Whatever happened to customer service. And God forbid if you should use them and get a crack in the joint, they will not cover it in their "lifetime warranty" I would never ever recommend them and their terrible customer service. I needed new carpet for my renovation in my basement and I found a great quality berber at a very reasonable price. Staff very friendly and easy to deal with. very friendly service, affordable tiles, good selection and they went out of their way to help me. I am happy that I went with this company and I saved a great deal of money by doing so.